This year marks the 50th anniversary for the West Virginia State Water Festival. The festival kicks off this weekend. Sandstone Falls is located on the north-flowing new river, 8.5 miles north of Hinton, West Virginia on State Route 26. The weeklong celebration in Hinton hosts everything from a Little Miss Mermaid Pageant, to fishing tournament, and grand parade. The event wraps up with a rubber ducky race down the New River, sponsored by a small nonprofit working to restore a historic home in Hinton. Cruise (v) : Driving with an emphasis on socializing. It used to be unstoppable in towns in Southern West Virginia. Drivers would crowd the streets on weekends for a chance at meeting up with their friends and families. 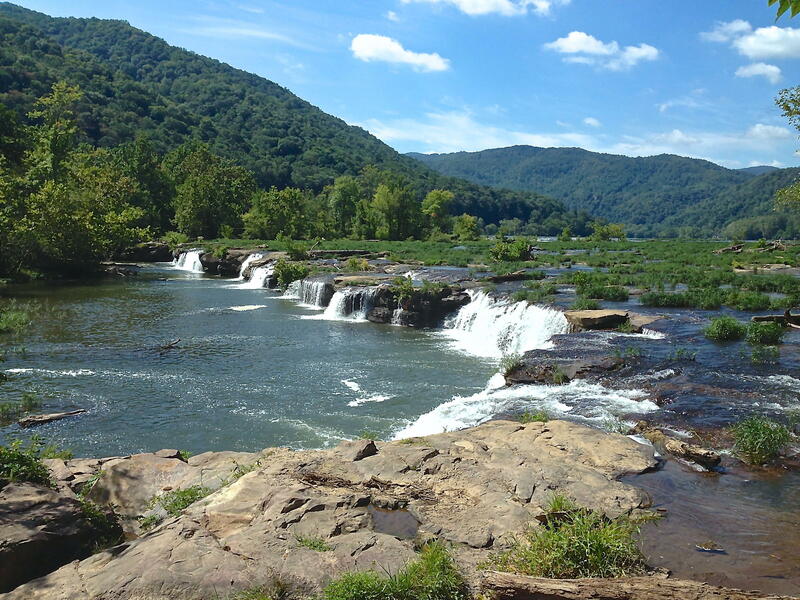 A new National Park Service report shows that visitors to national park areas in southern West Virginia spent $51 million in nearby communities in 2013. The report says a little more than 1,243,000 people from around the world visited the New River Gorge National River, the Bluestone National Scenic River, and the Gauley River National Recreation Area in 2013. In a release today NPS Superintendent Trish Kicklighter said that in addition to providing visitors remarkable experiences in America's outdoors, National Park Tourism is a significant driver in the national economy.